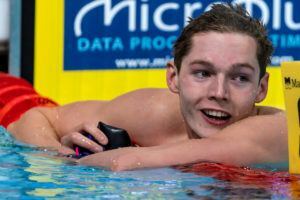 The final day of the 2012 European Championship in Antwerp, Belgium wrapped up what has been an outstanding meet, featuring Europe’s best 15-16 year old girls and 17-18 year old boys. 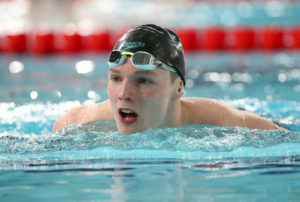 The biggest swim on the final day of the competition came from Germany’s young sprinter Maximillian Oswald. He has had some great 100m freestyles in this meet, but this 50 really was an explosion with a 22.28 for a sizable victory. That left him just .02 seconds away from the Meet Record held by countrymate Steffen Deibler from back in 2005. 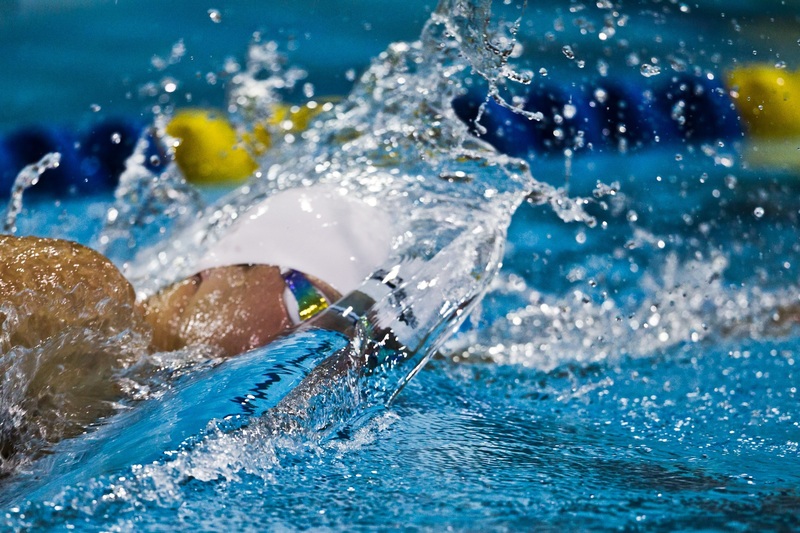 This swim makes Oswald easily the fastest German sprinter in 2012. He’s now dropped almost a full second from his best time in this event in the last 6 months. 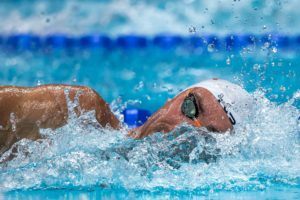 Denmark’s Mie Nielsen picked up her second win of the meet to sweep the sprint backstroke titles, but this time wasn’t quite as impressive time-wise as she was in her other events. 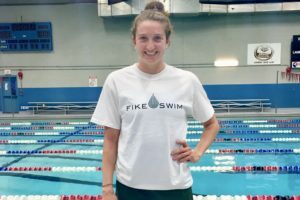 Her win in 1:00.87 still gave her a victory over Great Britain’s young star Jessica Fullalove in 1:01.72; however, for Nielsen, who has been swimming best times up-and-down this meet, breaking a minute seemed like a very good possibility. Still, with fewer races at the Olympics spread out over more days (and the 100 back coming early in the schedule), she should be much fresher when it comes time for this race in London. The men’s 100 breaststroke was the most exciting race of the meet, but the nationality of the winner will surprise many. That’s because Moldova’s Danila Artiomov won in 1:01.60 after taking the swim out very hard and holding off Sweden’s Johannes Skagius (1:01.61) and Great Britain’s Craig Benson (1:01.64). Artiomov has been Moldova’s number-one breaststroker since he was only 16 and going 1:07’s. Now, he’s crushed the National Record many-times over, and has already become maybe the top swimmer in his country’s history. In the men’s 200 free, Maestri Riccardo is the next in a long tradition of great young Italian freestylers, as he won in 1:48.62. That’s the 5th-fastest time by an Italian this year, and just a half-second away from his country’s leader. With Filippo Magnini not getting any younger, it’s a positive to see the next young generation moving up to take his spot. The Russians capped their meet with a 12th and final gold medal in the women’ s 800 free relay in 8:06.85. 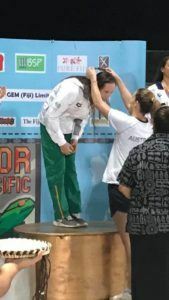 That missed the Meet Record by less than a tenth, which will leave them a bit bitter as their star Mariya Baklakova led them off in only a 1:59.98 – she was more than a second better in her individual swim. Baklakova will walk away with 5 individual gold medals. That’s the best medal performance we’ve seen at this meet since 2010, when Germany’s Silke Lippok pulled off the same quintet. With 21 medals, 12 of them gold, the Russians easily topped the tables ahead of Italy (14, 7 gold) and Germany (23, 6 gold). But it was Germany’s superior depth that gave them a sizable victory in team points.